Last week I wrapped up a travel series of our camping trip in northern Wisconsin where we spent our days hiking trails and seeing all the beautiful waterfalls in Wisconsin and Michigan's UP. I don't have any new long vacations to share, but I have many little weekend trips that I put on the back-burner the past year that now I can finally post! My first weekend trip that I now finally have the time to post was taken last spring. We went to Stillwater, Minnesota! 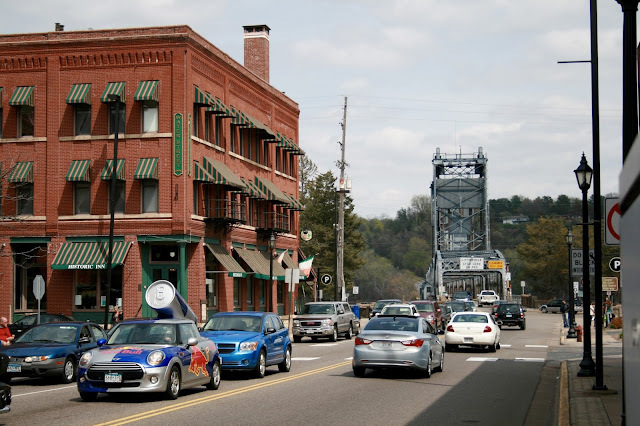 Stillwater, Minnesota is a gorgeous little historic town located on the St. Croix River. 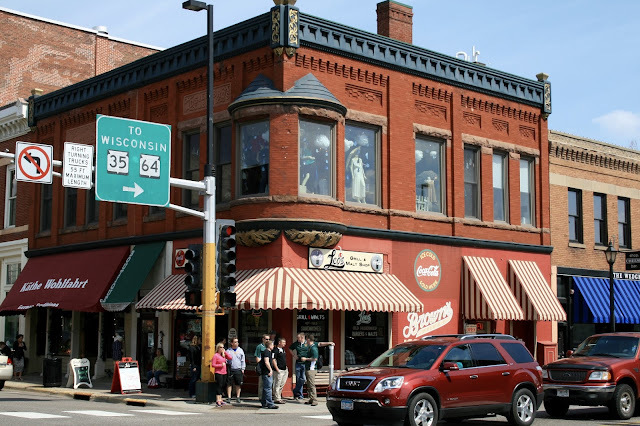 It's very close to the twin cities and only about a two hour drive from our home in Wisconsin. This is a town rich in history and they have various tours you can take to learn about their history. 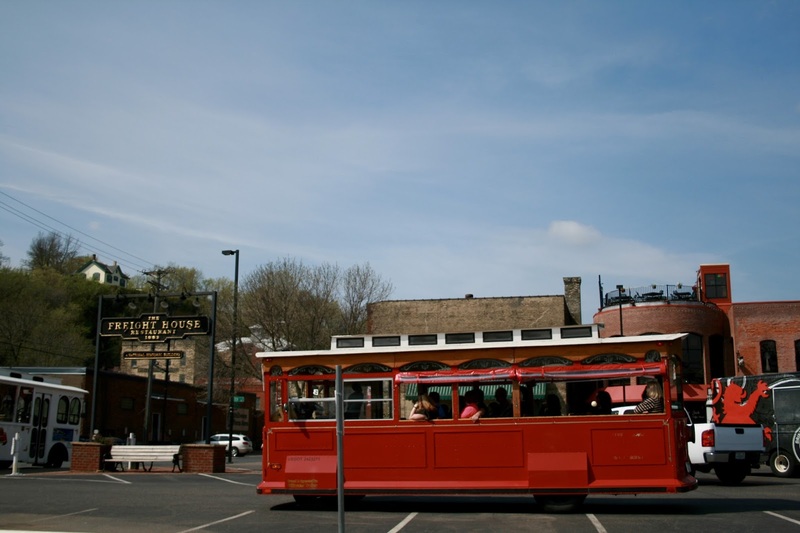 They have trolley tours, walking tours, riverboat rides, and even train rides. We actually took one of their fun train rides to celebrate one of our anniversaries many years ago. 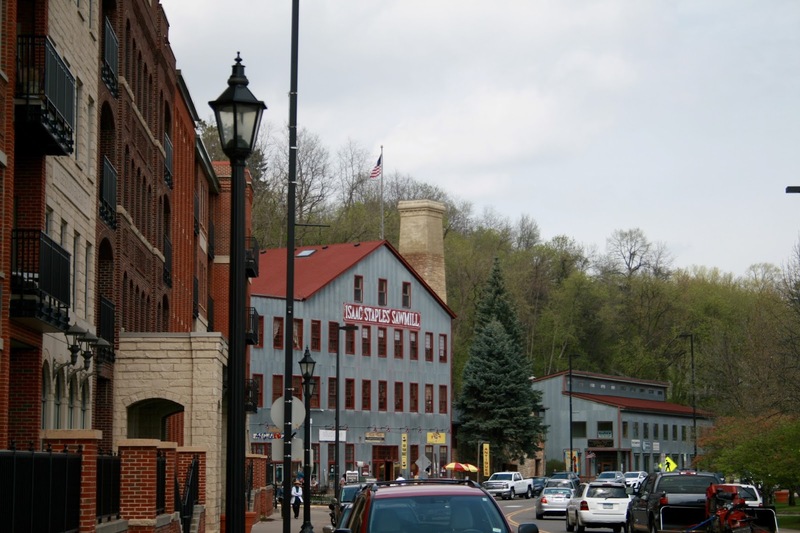 Like many historic towns, Stillwater renovated and re-purposed many of their old factory and other buildings to create fun restaurants and shops. 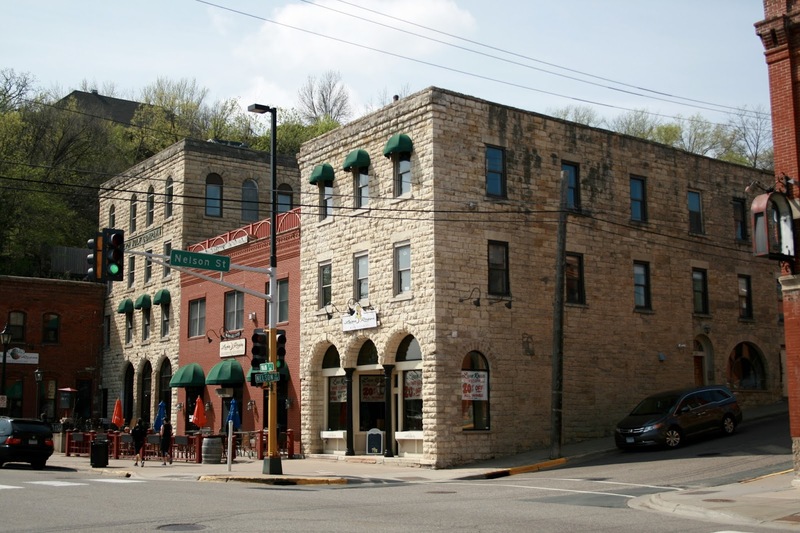 This old building is now a restaurant that offers both indoor and outdoor seating with a great view of the St. Croix River. 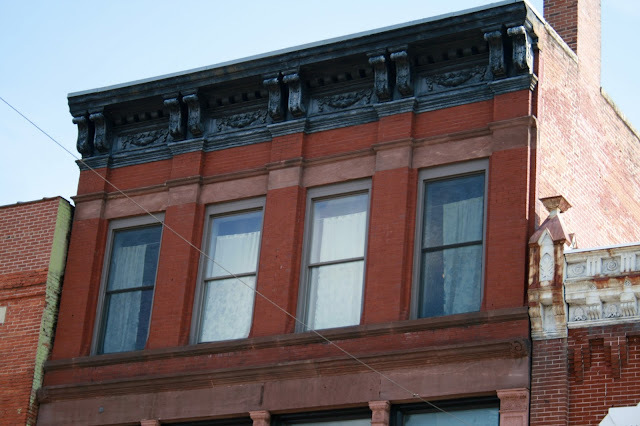 Whenever I visit old towns, I don't shop much, but I love to walk around and "ooh and ah" over the architecture. I might pop in a lot of the shops, but most of them are too expensive or don't sell items I really need. I did stop in at this old bookstore because I've been on the hunt for fashion/beauty books to fill the shelves of my new "Beauty Room". Unfortunately they didn't have any, and they were super expensive too! 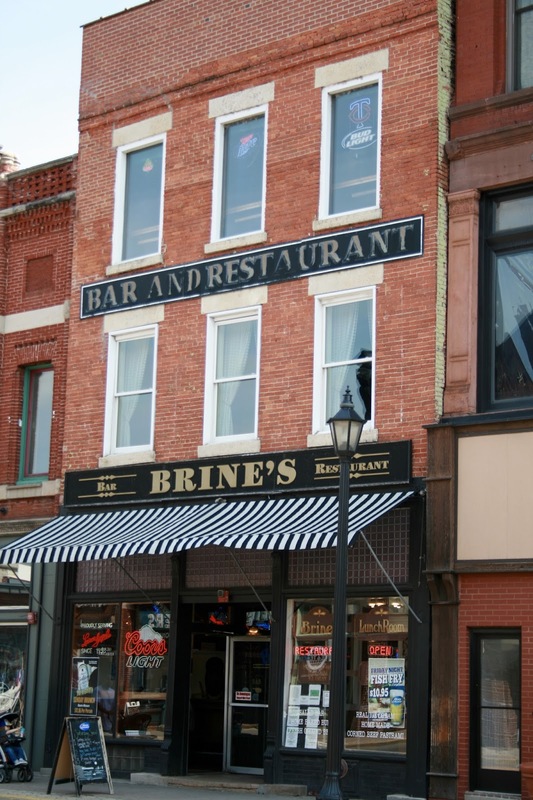 I just loved all the old brick store fronts and canopies. This was a fun clothing shop. 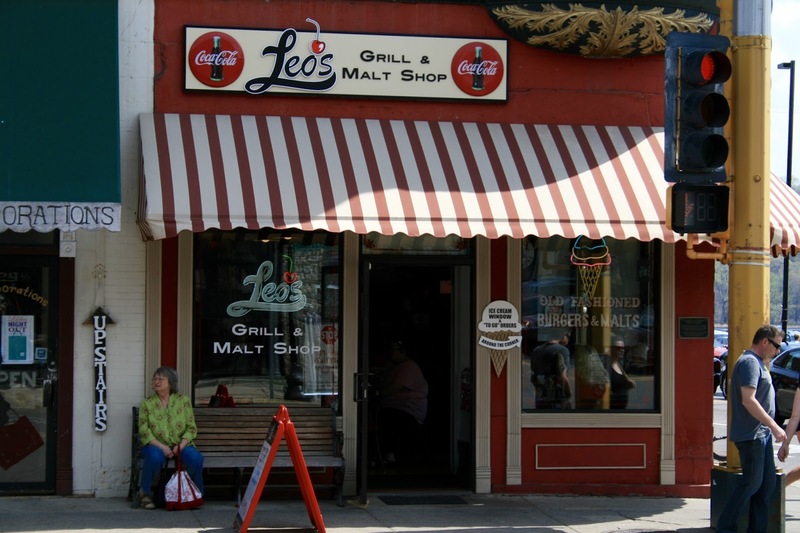 This fun grill and malt shop was so busy! Sorry, we didn't have any ice cream so I can't tell you how it was. 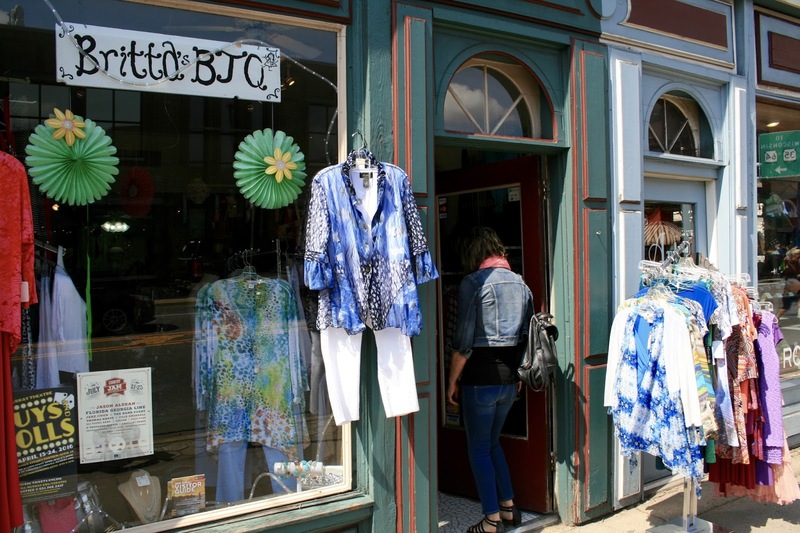 If you love antiques, Stillwater is the place for you. 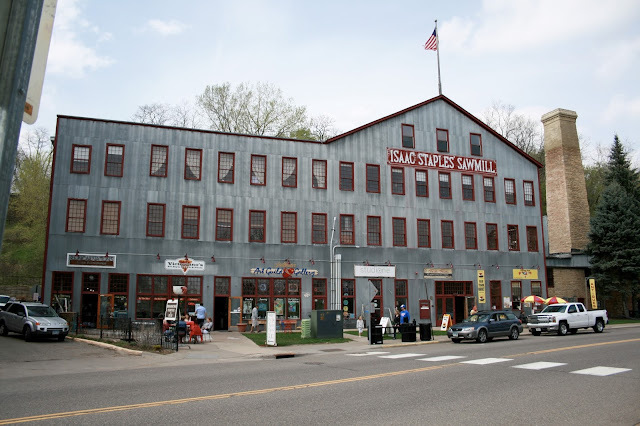 This huge building was filled with antiques. It was almost overwhelming walking through it. It used to be an old sawmill and has since then been converted into shops and restaurants. Stillwater is also known for it's famous lift bridge. 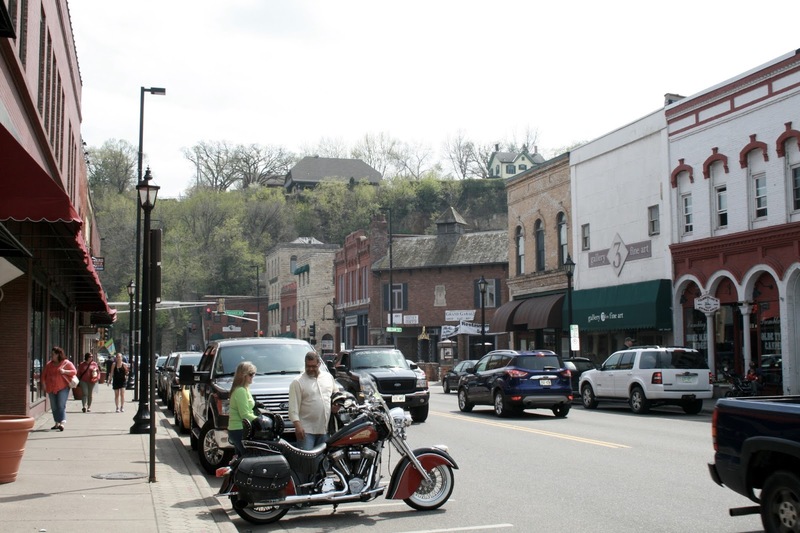 Bikers love to visit Stillwater for the views of the river and the bluffs are breath-taking. 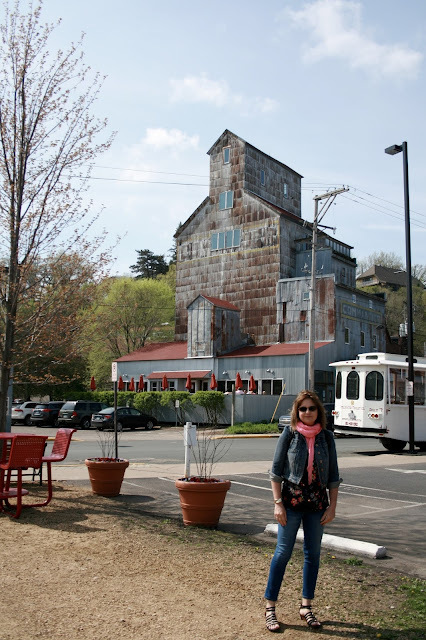 We visited Stillwater because we wanted to do some antique shopping for my new "Beauty Room". So while we were there, we just explored the antique shops. But there is so much more to do in this sweet town. There are biking and hiking trails, museums, golf, camping, water activities, riverboat, trolley and train tours and more. 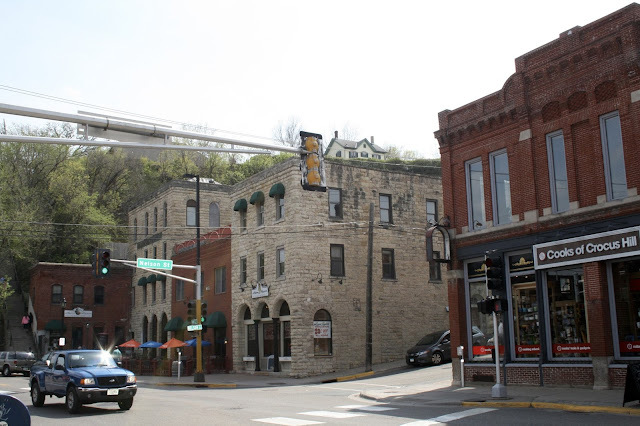 There is something for everyone in Stillwater, Minnesota. This looks like my kind of town! 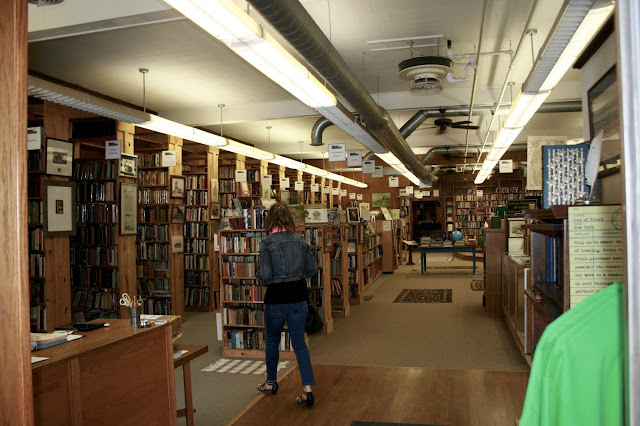 Like you, I would spend almost all of my attention on the architecture, then the antiques, then the bookstore - which looks like a library, it's so big! I love checking out the old building too Amy!! It such a trove of great eye candy!! 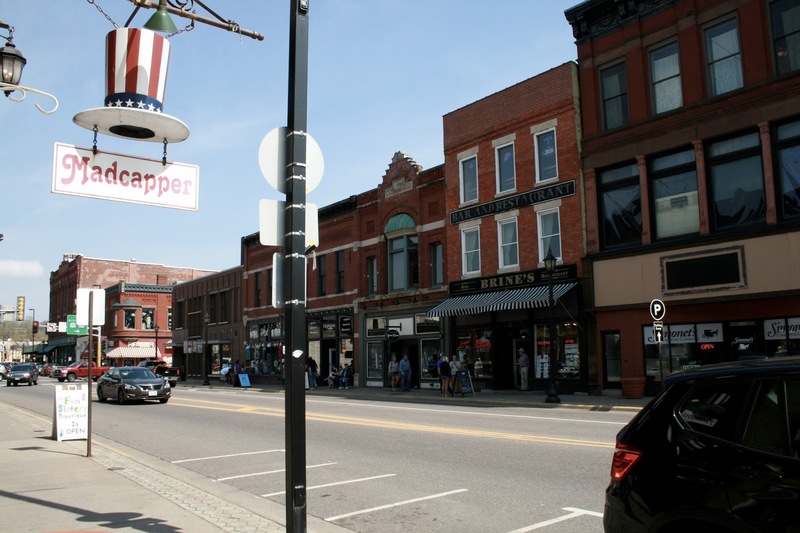 omg this looks like one of those towns in the movies SO CUTE! Stillwater is such a cute town! We had friends that owned a shop there years ago and I always loved to visit! Another great post, photos and virtual tour for us, Amy! 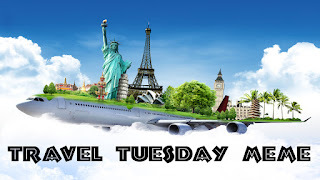 Travelling is one of the great pleasures in life.